Blog: Find Your Dream Canmore Home With Simple Condo Hunting Tips! Find Your Dream Canmore Home With Simple Condo Hunting Tips! Buying your first home can feel intimidating, but the truth is that the process is much easier than you think. You can find a home that suits your needs as long as you know how and where to look. Getting the services of a real estate agent, mortgage representative and lawyer will go a long way in ensuring that you get exactly what you need. You should not hesitate to ask as many questions as you need to help you make the right choice. 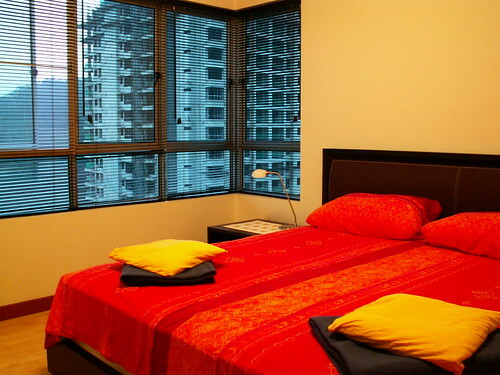 Following are some tips that will help you to find your dream condo. Before you kick off your search, you should make sure that you know exactly what you want. Determine your priorities before you start condo hunting and come up with a list of your requirements. Some of the issues that you need to think about are the location, amenities, price and the number and approximate size of bedrooms and bathrooms. You should also consider how soon you are planning to move. The "Condominium Buyer’s Guide" that is available from the Canada Mortgage and Housing Corporation website can help you in your search for condos. It is easy to lose focus when you are dealing with a huge amount of money. Losing your perspective can cause you to spend more than you have to. There are many people who would not think much about adding an extra $5,000 when they are already spending $ 350,000. The fact is that when you think about interest and other fees, a few thousand can be a lot! Before you start shopping, determine what you can afford. Get pre-approval for your mortgage, and make sure that you stick to your budget. When you know how much you can afford to spend, you can narrow your choices. When looking at different condos, try to visualize what the space would look like when you move in. whether you are looking at existing resale condos or model suites of property in the pre-construction stage, it is important to be aware of the staging. Property owner's use staging to make the space look more appealing and you need to have this in mind when choosing a place. Think about your lifestyle and your family needs and remember that you will need to create a space that will work for you. Do not fall for the décor or furniture designs but rather consider what your home will look like. Determine where your stuff will go especially if you are planning to move with the belongings that you already have. It is important to ensure that you have space for your stuff. Before you get carried away with the classy bathroom finishes, modern kitchen appliances and perfect cabinets, make sure that you have adequate storage space. Many homeowners overlook this factor and they end up having to rent storage space for their extra belongings. Look for a condo that will have room for your possessions while ensuring comfort for you and your family. There are many Canmore condos for sale and the shopping process might be a bit daunting. It is, however, very important to go with your instincts in order to find a place that you will love. Many homeowners will agree that finding the perfect home is often like finding love, you just know when you find it! If you have not found your dream home after looking at several properties, do not give up. Keep on looking and trust that your experienced realtor will help you to find exactly what you need. Using the right real estate agent will go a long way in ensuring that you find the perfect condo. Apart from looking at the floor plan and everything that is in the home, you need to find out about the amenities available. Find out details such as the security arrangements in place, heating in the building, whether you have secure parking for your car, the maintenance available and other issues. When asking about parking, find out if it is uncovered or covered, heated or unheated and if you have assigned exclusive use. You should also find out if the property has guest parking. You need to know upfront about any monthly condo fees for the different services available. When you think you have found the perfect Canmore condo for sale, it is a good idea to find out something about your neighbors. The last thing you need is to buy the property only to realize that you are not comfortable there! It helps to find out if the condo building has more renters than owners so that you can have some flexibility about how to use the property. Remember that quality of the construction is a very important issue and this varies widely depending on the building. Buying a condominium should not be difficult if you consult with a reliable real estate agent.